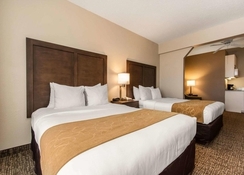 Set in a handy location to visit the Disney theme parks and attractions, Comfort Suites Maingate East is a family friendly hotel that is also popular with many couples due to the on-site amenities. There is a free shuttle service to the theme parks and there are plenty of shopping malls and golf courses close by. The resort also features a restaurant, poolside bar and the rooms can sleep between four and six people. 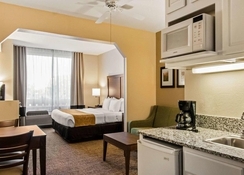 If you want accommodation that is close to all the major attractions in Orlando while offering a relaxing vibe then the Comfort Suites Maingate East ticks all the boxes and is a great choice for couples, families with children and larger groups. 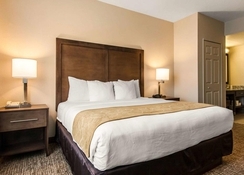 Comfort Suites Maingate East is located on the Florida Plaza Boulevard and is just 300 yards from the Old Town Amusement Park. 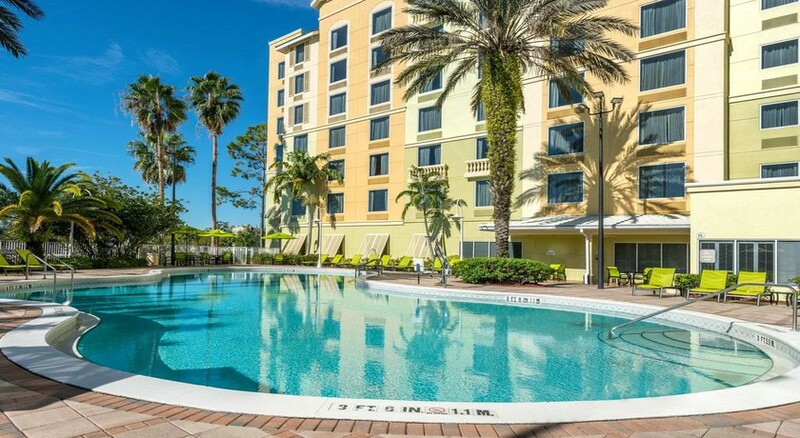 It is also in a great location to explore the rest of Orlando including Disney’s Hollywood Studios (3.4 miles), Epcot (3.9 miles), Disney’s Animal Kingdom (5.1 miles), Walt Disney World (7.3 miles), SeaWorld (6.1 miles) and Universal Studios (10.3 miles). Falcon’s Fire Golf Course is 1.2 miles from the property and Orlando International Airport is 14.3 miles away. 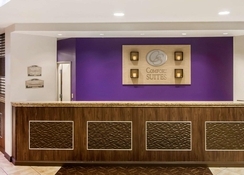 There are a variety of different accommodation options at the Comfort Suites Maingate East. 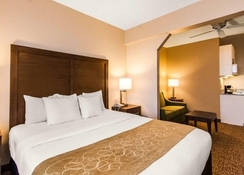 Queen Suites can sleep up to six with two large double beds and one sofa bed, King Suites have one extra-large double bed and one sofa bed and sleep four people and there are Queen Rooms with Two Queen Beds that can sleep six. 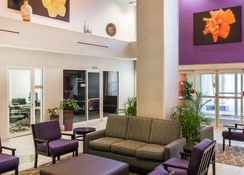 One Bedroom King Suites are available and there are rooms specifically adapted for disability access. The Barracuda Bar on-site provides a range of alcoholic and non-alcoholic drinks as well as American cuisine. Southern Breeze restaurant is just 300 yards away from the property and breakfast is included in the resort fee. There is also a Pizza Hut, Red Lobster and Havana Kiss Cuban Café within walking distance. Guests can avail of the various amenities which include a swimming pool, arcade and games room and gym. Within walking distance of the resort guests can enjoy the Old Town Amusement Park, Haunted Grimm House, Old Town Segway Adventures and Falcon’s Fire Golf Course is just 1.2 miles away. Lake Buena Vista Factory Stores is 3 miles from Comfort Suites Maingate East.